The KDD Job Match program provides an opportunity for KDD attendees to apply to data science jobs at our various sponsors. Attendees will register on the job match site, select the companies that interest them, and upload their CV or their LinkedIn profile. Four weeks before the conference, KDD will forward the resumes to the companies selected by the attendees. Companies can then choose to hold interviews with selected applicants during the conference (or at another mutually acceptable location and time). We'll see you in Halifax! The deadline to ensure that your CV is sent is end of day Monday, August 1, 2017. Be sure to update your profile now! Sign in to KDD.org. You may need to create an account first. Did you join the Job Match Program in 2016? Then you already have an account. Fill in your KDD2017 registration number. Select the companies to whom we will send your CV. Upload your CV or the URL to your LinkedIn profile. Click SUBMIT. Sign up to receive important notifications. Return at least 4 weeks prior to KDD2017 to update your preferences. Didi Chuxing is the world’s leading mobile transportation platform. The company offers a full range of mobile tech-based mobility options for nearly 400 million users across more than 400 Chinese cities, including taxi hailing, private car hailing, Hitch (social ride-sharing), DiDi Chauffeur, DiDi Bus, DiDi Minibus, DiDi Test Drive, DiDi Car Rental and DiDi Enterprise Solutions. As many as 20 million rides were completed on DiDi’s platform on a daily basis in October 2016, making DiDi the world’s second largest online transaction platform next only to Taobao. DiDi acquired Uber China in August 2016. As a practitioner in the sharing economy initiative, DiDi is committed to working with communities and partners to solve China’s transportation, environmental and employment challenges using big data-driven deep-learning algorithms that optimize resource allocation. By continuously improving the user experience and creating social value, we strive to build an open, efficient, collaborative, and sustainable transportation ecosystem. In 2016, Didi was included in Fortune’s Change the World list, and named one of the World’s 50 Smartest Companies by MIT Technology Review. DiDi is a Davos Global Growth Company. DiDi Big Data is looking for Sr./Staff Engineers with solid machine learning background, as well as the passion for changing the world and making transportation more pleasant. You will have the opportunity to work with world-class engineers and scientists, and design and develop core machine learning algorithms using DiDi’s enormous data. DiDi Big Data is looking for experienced Data Scientists with solid machine learning background, as well as the passion for changing the world and making transportation more pleasant. You will have the opportunity to work with world-class engineers and scientists, and develop and implement core machine learning algorithms using DiDi’s enormous data. Amazon strives to be Earth’s most customer-centric company where people can find and discover virtually anything they want to buy online. The world’s brightest technology minds come to Amazon.com to research and develop technology that improves the lives of shoppers, sellers and developers. At Microsoft, we aim to empower every person and every organization on the planet to achieve more. We care deeply about having a global perspective and making a difference in lives and organizations in all corners of the planet. This involves playing a small part in the most fundamental of human activities: Creating tools that enable each of us along our journey to become something more. Our mission is grounded in both the world in which we live and the future we strive to create. Today, we live in a mobile-first, cloud-first world, and we aim to enable our customers to thrive in this world. Facebook was built to help people connect and share, and over the last decade our tools have played a critical part in changing how people around the world communicate with one another. With over a billion people using the service and more than fifty offices around the globe, a career at Facebook offers countless ways to make an impact in a fast growing organization. Our research and production implementations leverage many of the innovations being generated from Facebook’s research in Distributed Computing, Artificial Intelligence and Databases, and run on the same hardware and network specifications that are being open sourced through the Open Compute project. SAS believes in the whole employee experience. Meaningful work. Empowerment to make a difference that changes people’s lives. Dynamic work environments that foster innovation. And an award-winning culture that makes it all possible. We believe great ideas can come from anywhere. Whether you’re a university recruit, or an experienced professional ready for the next big challenge, SAS brings perks, passion, and the potential to grow. No limits. At Capital One, data is at the center of everything we do. When we launched as a startup, we disrupted the credit card industry by personalizing every credit card offer using statistical modeling and the relational database, cutting edge technology in 1988! Fast-forward a few years and we are leading the next wave of disruption at a whole new scale, using the latest in distributed computing technologies and operating across billions and billions of customer transactions to unlock the big opportunities that help everyday people save money, time and agony in their financial lives. Criteo Research is pioneering innovations in computational advertising. As the center of scientific excellence in the company, Criteo Research delivers both fundamental and applied scientific leadership through published research, product innovations and new technologies powering the company’s products. We are looking for outstanding machine learning research scientists whose skills span the entire spectrum of scientific research and are interested in revolutionizing the world of online and computational advertising. Google’s mission is to organize the world‘s information and make it universally accessible and useful. Perhaps as remarkable as two Stanford research students having the ambition to found a company with such a lofty objective is the progress the company has made to that end. Ten years ago, Larry Page and Sergey Brin applied their research to an interesting problem and invented the world’s most popular search engine. The same spirit holds true at Google today. The mission of research at Google is to deliver cutting-edge innovation that improves Google products and enriches the lives of all who use them. We publish innovation through industry standards, and our researchers are often helping to define not just today’s products but also tomorrow’s. Element AI solves impossible problems for global organizations by using next-generation AI. We’re a world-class team of international talent perched at the intersection of advanced research, data analysis, programming and business development. We believe in investing in our talent and minimizing roadblocks by encouraging people to take the lead, experiment, teach others and grow. We’re making a difference to the world we live in every day. We’ve reduced congestion in cities by using intelligent real-time traffic data; we’ve created software that communicates with turbines in the middle of the ocean; and we helped NASA develop the Curiosity rover. LinkedIn’s team of data scientists and researchers work with huge amounts of data, solve real problems for our members around the world, and publish at major conferences. They work to improve the relevance in our products, contribute to the open source community, and are actively pursuing research in a number of areas. Learn [in] below about the opportunities at LinkedIn. Zillow serves the full lifecycle of owning and living in a home: buying, selling, renting, financing, remodeling and more. It starts with Zillow’s living database of more than 110 million U.S. homes - including homes for sale, homes for rent and homes not currently on the market, as well as Zestimate home values, Rent Zestimates and other home-related information. Zillow operates the most popular suite of mobile real estate apps, with more than two dozen apps across all major platforms. Founded in 2012, Noah Ark’s lab is the AI research centre for Huawei Technologies. We undertake eight primary domains: Intelligent Telecommunication networks, Speech & Language, Recommendation & Search, Big data analysis, computer vision and Intelligent Device, Internet of Things and Smart City, to drive fundamental R&D in Artificial Intelligence. Our mission is to build AI technology that is practical to solve real world problems. We entail the state of art AI technologies, including deep learning, reinforcement learning and unsupervised learning, in multiple areas including natural language dialogue, translation, personalized recommendation, automated network management, and robotics. Headquartered in Hong Kong, Noah Ark’s lab has established global footprint including Hong Kong, China, Europe, Canada and US, and built global research partnership with over 12 top-notch universities include UC Berkeley, University of Waterloo, WASEDA University, Tsinghua University, Hong Kong University of Science and Technology, etc. More information at: http://www.noahlab.com.hk/career and in this job description. Booking.com is the planet’s #1 accommodation site. Our diverse team, 15,000 strong, is united by a single mission: to empower people to experience the world. Whether in our Amsterdam HQ or at one of our 199 offices worldwide, we work hard to help make more than one million travel dreams come true every single day. 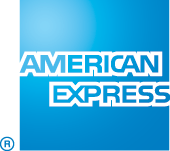 In its pursuit of being the world’s most respected service brand, American Express is integrating into the digital universe and developing new forms of payment and lifestyle services for its Card Members. We have launched innovative partnerships with top technology companies and aim to build upon our heritage of innovation, adding to the possibilities our network creates for our customers. As a Data Scientist and Machine Learning Researcher, you will help American Express accelerate its digital transformation. 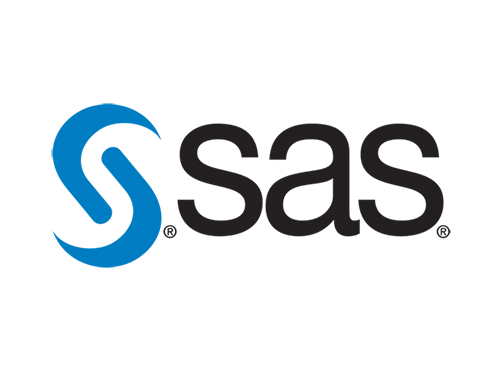 You will be challenged with designing winning data products and developing new big data capabilities that will elevate American Express to the forefront of the digital revolution. Submit your CV: Snap Inc.